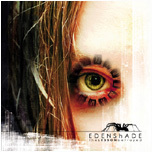 After two demo cds (“Shades of Duality” in 1999 and, mainly, “Love Injuring Criteria” in 2001, recorded at the Outer Sound Studios in Rome with Giuseppe Orlando and Massimiliano Pagliuso of Novembre) EDENShADE were aimed by the press and the fans to be one of the most promising bands of the Italian underground metal scene. When “Ceramic Placebo for a Faint Heart” (also recorded in Rome with friends Giuseppe Orlando and Massimiliano Pagliuso) was published in June 2003 by the independent label Atrheia Records everyone was suddenly shocked by the incredible maturity and emotionality expressed by the band's ten compositions. Defined by the critics the missing link between the modern Swedish death metal scene (In Flames, Dark Tranquillity) and the progressive metal technical and melodic beauty of Pain of Salvation and Dream Theater music, “Ceramic Placebo for a Faint Heart” mixed these influences with an all-Italian sense of melody and taste for electronics to create the portrait of EDENShADE unique music. Being Dynamite album in Rock Hard Italy, Buy or Die in Psycho!, Top Album in countless webzines over the net (including an astonishing 9 ½ in Imperiumi.net, Finland most important metal portal) and receiving lots of mentions as Best Album of 2003 even in Japan, where the album was only available as an import, “Ceramic Placebo for a Faint Heart” projected his creators EDENShADE into the restricted number of Italy most interesting bands. By the end of 2003 former keyboard player Matteo Belli left the band not being interested to follow his musical career anymore and was replaced immediately by Massimiliano Wosz, brother of guitarist Stefano; with the new line up, the band ended the songwriting for the new album “the Lesson Betryaed” and began the production stage, which took place in the band's own Duality Studios between August 2004 and February 2005. 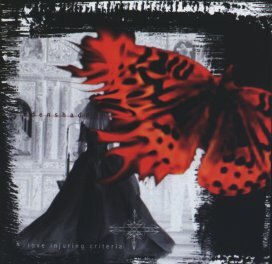 “the Lesson Betrayed” takes the band a step further in its musical research for beauty, leading EDENShADE to create an intriguing concept album revolving around the frailty of human condition, the concepts of guilt and responsibility and the continuous search for the meanings of love and the cruelties that this may lead us to.